There are some issues that typically occur with a wireless mouse like the most common issue with the wireless mouse is that the mouse cursor freezes at one point . 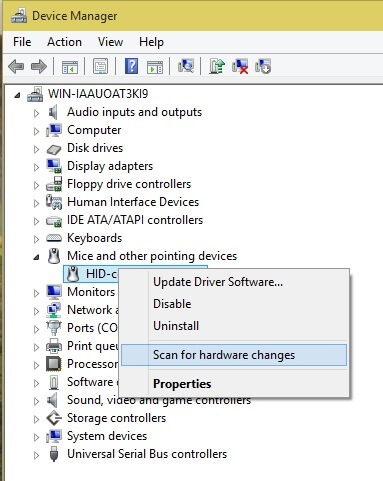 You can now check what is wrong with your mouse and try to fix the wireless mouse issues by going through the steps below before asking for any help . If they are good, remove the batteries . Then reinsert them after a minute or so. If the batteries are down then change the batteries . Reconnect the mouse. You can also try and reset the mouse using the reset key provided. If Step 1 does not resolve the issue then check if there is any other wireless device in the vicinity (like a cordless phone). The other device might be interfering with the wireless signal of your mouse. Switch off the other device or move it away from the wireless mouse. This should resolve the issue. If the issue still persists and typically the symptom is that your mouse freezes at some point then you might need to uninstall the driver . Go to Control panel->device manager->Mice and other pointing device. Right click and choose Uninstall . After this choose the ‘Scan for hardware option’. Hopefully by doing the above mentioned checks most of the common wireless mouse issues will be resolved and your mouse will be alive! For other common mouse issues Fix the common mouse problems post might be a good read. Navigate to Home page of this Website.